The Battle of Perryville, October 8, 1862, was the largest battle ever fought in Kentucky. As the climactic battle of Confederate General Braxton Bragg’s offensive to retake the Bluegrass State, Perryville marked the zenith of Southern fortunes in the Western Theater. Though the Rebels surprised and routed a significant portion of the Union army under General Don Carlos Buell, the Federals were able to put up enough resistance to keep the fight going until sundown. When the day was over, roughly 8,000 Americans had become casualties and Bragg’s offensive had been thwarted. Never again would a major Confederate army advance so far northward in the Western Theater. Since 1954, the Perryville Battlefield State Historic Site has preserved the magnificent vistas at Perryville and told the story of the Western High Watermark of the Confederacy. However, up until the 1970s, fewer than 100 acres of hallowed ground were protected. In the last decade, the Civil War Trust and its partners have made significant strides at Perryville, adding more than 900 acres to this important place in American history. 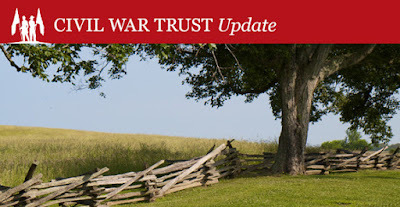 This week, while we contemplate the 154th anniversary of the largest and bloodiest battle in Kentucky, we wanted to pause and thank you, our members and supporters, for what you have done for the American people. Thanks to you, future generations of Americans can walk this pristine ground and reflect on the bravery of their ancestors.